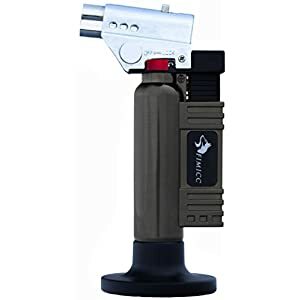 HIGH QUALITY BUTANE TORCH – Forget all those cheaply made culinary torches that would break and stop working after a while. 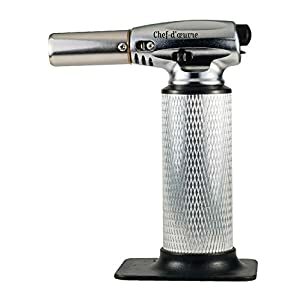 Our Blow Torch is made of premium quality materials. 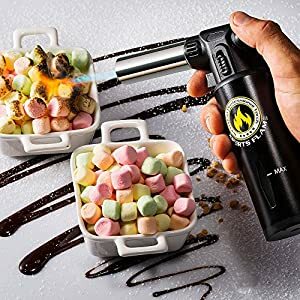 HIGH QUALITY BUTANE TORCH – Forget all those cheaply made culinary torches that would break and stop working after a while. 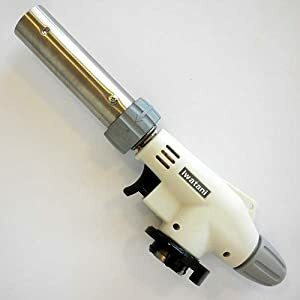 Our Blow Torch is made of premium quality materials. 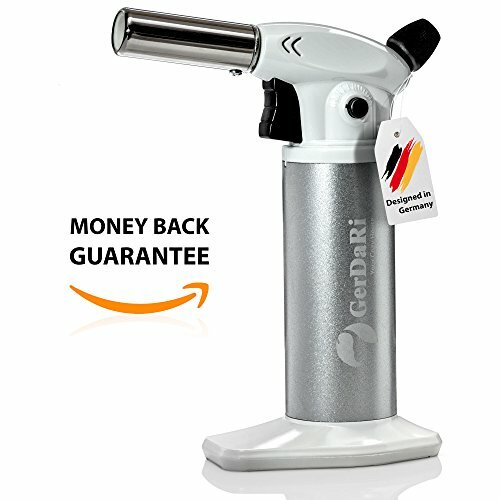 Designed in Germany. Perfect for all. 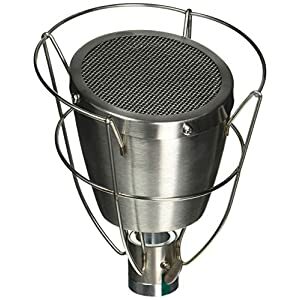 ADJUSTABLE FLAME – Our Culinary Torch for cooking is designed with adjustable gas knob and continuous fire function give you complete control of how big or small you want your flame to be. Heats up to 1300°C/2370°F. 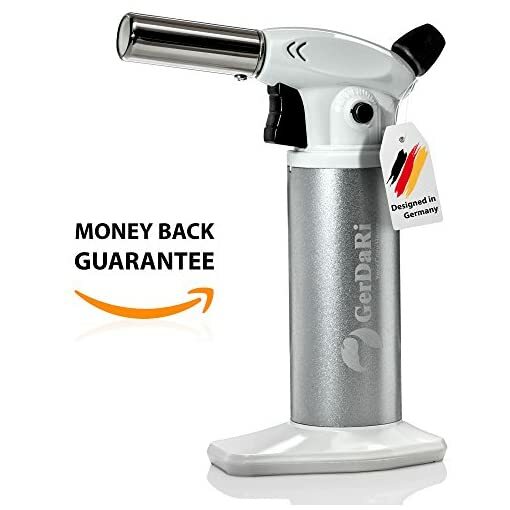 Perfect for crème brulees, flambé dishes, crispy onion soups, meringues, melting cheese and more. 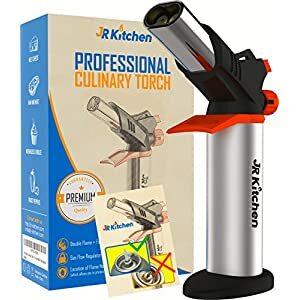 CHILD SAFETY LOCK – We proudly present you the finest mini kitchen torch with a locking mechanism to protect your kids, pets, family and friends. 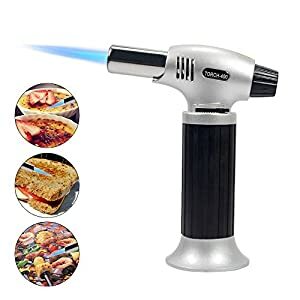 Cooking has never been that safe and easy before. 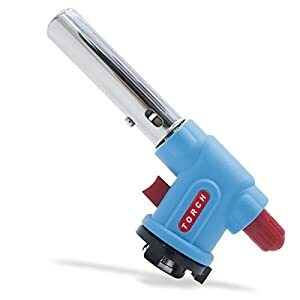 ADDITIONAL FEATURES – Our Cooking Torch flame is of up to 2500 F/1300 C with an extra-long nozzle for its powerful flame. Suits for crafting and cooking. 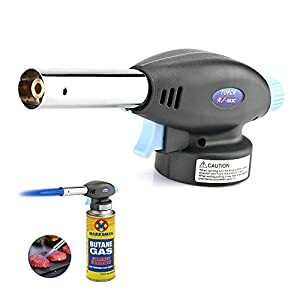 Easy to fill with gas for lighters. 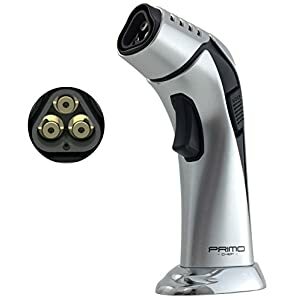 BUTANE TORCH – PERFECT GIFT IDEA! What are you waiting for? Click the Add to Cart Button to Order NOW!